"In the Twinkling of an Eye!" Is it possible that the remarkable number and variety of prophecies concerning Christ’s First Coming could have been fulfilled by chance? If you take a coin and flip it twice, the possibilities would be as follows… heads and heads, heads and tails, tails and heads, or tails and tails. The chance of heads turning up twice in a row is 1 out of 4… Or, if 4 people each flipped a coin twice; 1 of them would come up with 2 heads in a row. This probability is according to well defined mathematical laws… The chance of getting heads 3 times in a row without any other combination intervening is 1 out of 8… Or, if 8 people were flipping coins, we could expect one of them to come up with 3 consecutive heads… 4 heads is in an un-interrupted sequence would require 16 people flipping. 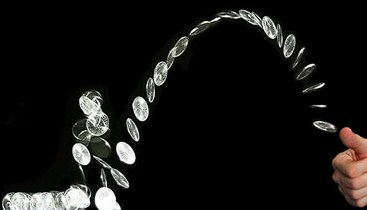 If slightly more than 1,000 people were flipping coins… the probability is that 1 of them would turn up heads 10 times without any tails in the sequence. To achieve 20 heads in an unbroken succession would take more than a million people. And a run of 30 heads would take more than a billion! That is if more than 1/4th of the earth’s total population were flipping coins we could expect only 1 to come up with 30 heads in 30 tosses... A run of 40 would happen by chance less than once in a trillion times! Or, if all the people of 250 earths like ours were flipping coins only 1 of them would come up with 40 uninterrupted heads in 40 tosses. It has been calculated that there are actually more than 300 prophecies concerning various aspects of ‘Christ First Coming’… We assuredly say that NO one could possibly have made this number of accurate predictions by chance! But, God did it, through His prophets, and the evidence is in the Bible for all to see and believe. Fulfilled prophecy also gives us assurance of prophecies which are yet unfulfilled… We may, with all confidence, conclude that since all prophecies concerning Christ’s first coming came to pass as predicted… then all the prophecies concerning Christ’s Second Coming will likewise be fulfilled exactly as they are written… And, because, Yeshua (Jesus) said; “I will come again,” John 14:3 …we may be assured that He will. When Paul writes that the Lord will descend from heaven, and that the dead in Christ will be raised and those alive in Christ will be changed (1 Thessalonians 4:16-17) we may confidently expect that just this WILL happen. When John predicts that the water of the Euphrates River will be dried up to facilitate the crossing of the armies of the kings of the east in Revelation 16:12, we can be certain that this WILL actually take place one day. One of the most amazing prophecies that have been fulfilled especially to the revelation of the First Coming of Christ is the prediction of the exact timing of His coming… Daniel 9:25; “Know therefore and understand, that from the going forth of the commandment to restore and to rebuild Jerusalem unto the Messiah shall be seven weeks and threescore and two weeks…” We may look ahead with complete confidence to the fulfilling of God’s Word exactly as written. Our Lord said that not one “jot” or “title” will remain unfulfilled (Matthew 5:17-18), which means that every letter, and each part of each letter of every word, will be fulfilled. YES, He came as God promised …and this means that He WILL come again as He promised! As the days pass by, there seems to be an increasing interest in the subject of the Rapture of the Church. While this interest is growing, there seems to be a proportionate development of uncertainty in regard to it. The confusion is becoming greater with the discussion of the subject. The point of disagreement is NOT the fact of the Rapture …but rather the time when it will occur? Some people believe that it will take place before the beginning of the Tribulation; others, in the middle of that period of judgment; and others that it will occur at the end of the Tribulation. As we enter into the investigation of this subject, we can understand clearly why it is that these different positions are taken by earnest, honest, conscientious truth seekers. The subject is vast and certainly only God knows the outcome and we humbly can only touch on this matter. We must understand that our God is in control of everything… God chose the nation to be His son, His firstborn, His special people (Exodus 4:22; 19:5). And, to Israel He gave specific promises that are the basis for many things that are yet to happen on this earth. Whether the world understands it or not… the Jews are God’s chosen people. This is stated and restated in God’s Word. The choice was made from all the nations of the earth (Deuteronomy 14:2) ...and the Jews were not chosen because of merit but because God loved them (Deuteronomy 7:7-8) …and this was re-affirmed even in the midst of defection and apostasy (Amos 3:2). Even in the New Testament times when the church had entered the picture, God re-affirmed that His choice of Israel had not been set aside (Romans 11:1-2). The Bible says that Israel will once again play a major role in end-times and we can undoubtedly say that this has happened since the re-establishment of Israel as a nation in 1948 …and Jerusalem under Israel’s sovereign control in 1967. If we don’t understand this we will miss what God is doing in the world today! God made a detailed covenant to Abraham, the father of His chosen people (Genesis 12:1-3; 13:14-17; 15:1-7; 17:1-18), then it was carried over to his son …then to Isaac’ son Jacob, who became Israel. But, most interesting in light of current events, was the promise to give Abraham’s descendants, the Jews, a certain land for their own. The boundaries were specific (Genesis 15:18), and the land was given as "an everlasting possession" (Genesis 17:8). Concerning all peoples… God promised that He would bless those who blessed Abraham and his descendants and curse those who curse them. 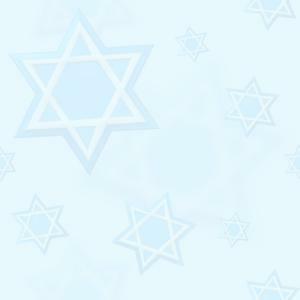 Throughout history, people have been blessed or cursed depending on their treatment to the Jews. This principle was established by God way back in Abraham’s time (Genesis 14:12-20; 20:2-18; Deuteronomy 30:7; Isaiah 14:1-2). In more recent times God has dealt with nations on the basis of their treatment to the Jews. And, God will judge Gentiles (non-Jews) living at the conclusion of the Tribulation period… "Inasmuch as you have done it unto one of the least of My brethren (the Jews), you have done unto Me," Matthew 25:40. This raises and interesting question about the United States in future events! Some thought is that the USA will be a part of the revived Roman Empire, the ten-nation federation headed by the anti-Christ in the Tribulation. This may be the case, for certainly historic and ethnic ties link USA to Western Europe… But, if this is true then the role will apparently not be an important one as the USA is not named, mentioned or hinted at either directly or symbolically in any of the prophecies concerning the ten-nation federation as written in the Book of Daniel …in the Tribulation. Time will tell! The risk of ignorance is great…! The Book of Revelation is many times ignored in Bible studies as not being relevant to our daily lives and problems. Louis Talbot after whom the Talbot Theological Seminary was named expressed it this way "many people treat the Book of Revelation like the priest and Levite treated the man who was beaten and robbed in the story of the Good Samaritan… they passed by on the other side. The devil had turned thousands of people away from this portion of God’s Word and does not want anyone to read a book that tells of him being cast out of heaven… nor is he anxious for us to read of the ultimate triumph of his number one enemy… Yeshua (Jesus Christ). The more we study the Book of Revelation the more we understand why Satan fights so hard to keep God’s people away from Him." Revelation is the only prophetic book in the New Testament and stands alone as a light house in a churning sea of modern turmoil… Its miracles will only be understood by those who have "ears to hear" and the "ability by the Spirit of God to discern!" The tragedy today is that not only atheists and agnostics deny the miracles of the Bible… but some so-called Christian preachers and teachers, liberal in their outlook and education, consider many Biblical miracles to be allegories and reject the supernatural and the work of the Holy Spirit. The true church looks ahead… The Bible clearly outlines the future of those true believing in Christ belong to the true church. They who die before the Lord comes …will be taken immediately into His presence to be with Him for ever. Their bodies will be buried, but they themselves will go immediately to heaven. To depart this life and to be with Christ is far better (Philippians 1:23) and to be absent from the body is to be present with the Lord (2 Corinthians 5:8). The bodies of believers, whether placed in the grave the day before or hundreds of years earlier, will be raised when our Lord returns and each will receive a new body in which he/she will live for all eternity. This is the prospect of members who die of the true church. But, of course some true believers will be living on the day when Christ comes back. They will not die physically but they will be changed, given new bodies, and taken to be with their Lord forever. God does not make covenants and then break them because… He is true to His Word! God also made important covenantal promises to David. The record of what is usually called the "Davidic Covenant," (2 Samuel 7:12-16). God promised that Solomon, not David, would build the temple, and that David’s lineage, throne, and kingdom would be established forever. Yeshua (Jesus Christ), is the seed of David… (Luke 1:32-33). These promises concerning the King and the kingdom were repeated in the Old Testament… Psalm 89:30-34; Isaiah 9:6-7; Jeremiah 23:5-6; 30:8-9; 30:4-21; Ezekiel 37:24-25; Daniel 7:13-14; Hosea 3:4-5; Amos 9:11; Zechariah 14:4-9. All agree that Christ will fulfill the promises concerning the Seed of the Davidic kingdom…. But, the question is when? Is He now sitting in heaven on the throne of His father David? And, is the Davidic kingdom the present heavenly rule of Christ over His church? Or, will the Davidic kingdom be on earth in the Millennium, when Christ will rule here? The view one chooses affects His entire picture of the future… You probably have heard the terms "Post Millennium," "A millennium" and "Pre-Millennium," but note the promises God made to Abraham and to David. "Millennium" means a thousand years, and refers to the time of the kingdom promised to David. In other words, "Millennialism" has to do with ones view of the kingdom. 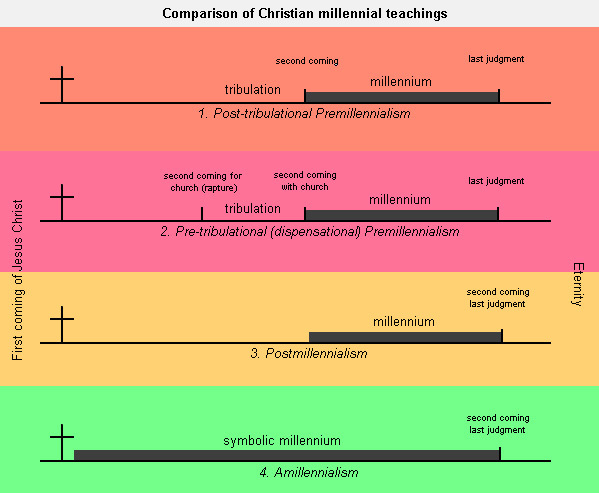 "Post-Millennialism"… is so labelled because it teaches that the Second Coming of Christ will occur after the Millennium and there will be a 1,000 year reign on earth. Those who believe in this teaching look for a ‘utopian state’ on earth to be brought about through the noble efforts of the church. During this "golden age" the church and NOT Israel will receive the fulfilment of the promises to Abraham and David. The kingdom will be on earth, but it will be a church kingdom, not a Jewish one, and the King… Christ, will be absent from the earth, not present on it; He will rule in the hearts of His people. The Lord Himself will return afterward and take the believers to heaven and condemn those who reject Him. "A-Millennialism"… denies that there will be any kind of earthly Millennium kingdom in the future. The kingdom is now… it is heaven’s rule over the church. They feel that the promise of Israel to Abraham’s ascendants need not be fulfilled because the say that the Jewish people broke covenant by their disobedience to God. 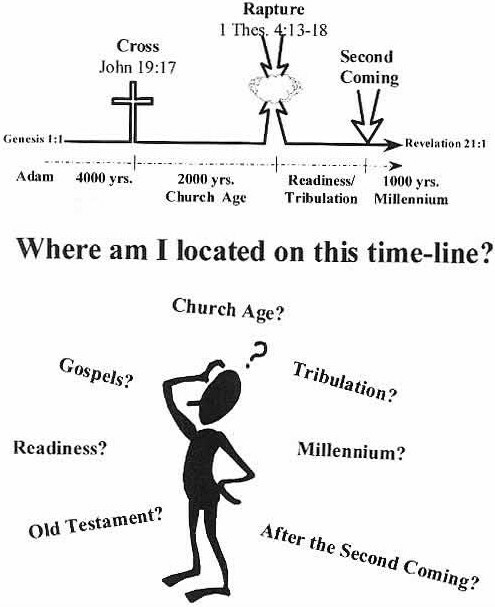 According to this view, when Yeshua (Jesus) returns to earth…He will take all believers out, condemn all unbelievers and eternity will begin right there and then. They also see the church optimistically moving triumphantly to victory. The only Millennium they can except according to this viewpoint is the rule of Christ now in heaven, where He is seated on the throne of David. "Pre-Millennialism"… holds that the Second Coming of Christ will precede the Millennium kingdom, and that Christ, not the Church will be the one to bring in the kingdom. Christ will actually reign on earth as King and during that time the Jewish people will experience the full blessing of the promises God made to Abraham and David. Among those that believe this, there are different views as to when the "rapture or catching away" will occur in relation to the Tribulation. This is the oldest view which holds that Christ will literally and bodily return to earth before the 1,000 year kingdom begins. He will set up this kingdom and reign from the throne of David out of the New Jerusalem. At the end of the 1,000 years, Yeshua (Jesus Christ) will turn the kingdom over to His Father (1 Corinthians 15:24) at this point it will merge with God’s Eternal Kingdom. There is no question in our minds that the Apostles and the early Christians expected Yeshua (Jesus) to set up this literal, earthly kingdom. In Acts 1:6 just before Yeshua extended into heaven, the disciple asked Him, "Lord will you at this time restore the Kingdom to Israel?" In His answer, Yeshua didn’t try to set them straight by telling them that there wouldn’t be an earthly kingdom for Israel. He simply told them that it wasn’t for them to know when it would come to pass; this was something that only God the Father knew. Those who believe in the Pre-Tribulation view of the Rapture support their position with the following reasons: The risen Lord promised the church at Philadelphia to… "…keep them from the hour of temptation which shall come upon the entire world, to try them that dwell upon the earth," Revelation 3:10 and they assume that the "hour of temptation" refers to the Tribulation. The Pre-Tribulation view seems to be more compatible with the concept of the Rapture as a comforting and blessed hope. Most believe this view to be correct as we think it unwise to take the words of the Bible in a non-literal sense when the literal meaning is plain… These promises to Abraham and David concern the physical descendants of Abraham. Why expect them to be fulfilled by the church, unless Israel no longer means Israel but means church? Since the New Testament continues to distinguish the Jews from the church, it appears that we should expect these promises to be fulfilled through the Jews rather than the church; 1 Corinthians 10:32; Romans 11:26. The Post Millennium’ age Golden Age is for the church …and the A Millennium has no period at all after the conclusion of the Church Age… Only the Pre-Millennium includes a time during which these promises to Israel (seed, land, throne, and kingdom) can be fulfilled. And, therefore, expect headlines to announce one day… that Christ has come to rule and set up His Kingdom on earth. The Jewish people are dwelling safely in the Promised Land, and that the throne of David, occupied by the Son of David, has been established in the New Jerusalem… that will be the complete fulfilment of God’s promises. One of the major tenets of "Pre-Millennialism" is that conditions on earth are getting worst rather than getting better, and that the Kingdom Age can’t begin until Yeshua returns to destroy those who have lead the world into its downward spiral. God created the heavens and the earth and is their owner… forever. He made a covenant with Abraham, Isaac and Jacob that the land of Israel is theirs…. forever. From the Book of Genesis until this very day, tyrants and dictators and godless people have done everything in their power to take the land of Israel away from the Jewish people. The day is coming when our Lord is going to crush the enemies of Israel once and for all. Remember, the references in the Olivet Discourse (Matthew 24:24-31) refer to the Jewish people and not to the church. During the Tribulation the Jewish people will be protected by the Hand of God at the ancient natural fortress of Petra (situated in Jordan). When the enemies of Israel are destroyed God "will send His angels with a great sound of a trumpet, and they will gather together His elect (the Jewish people), from one end of heaven to the other." During the golden age of peace …the Millennium reign, the righteous Gentiles and the Jewish people will be centre stage with the Messiah. The Tribulation is also called “The Day of the Lord” or “The Day of His Wrath” (Revelation 6:17; 2 Peter 3:10; Revelation 1:10)… What is the Tribulation? How long is it? 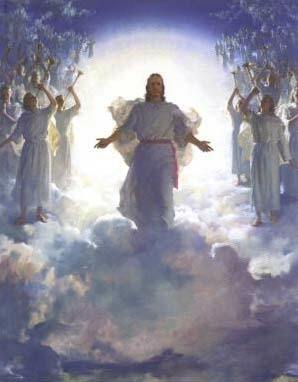 The Scriptures describe in detail the events that will take place on earth AFTER the church has been taken to heaven. In describing the Tribulation, the Lord said; “It would be a time ‘such as was not since the beginning of the world to this time, no, nor ever shall be,” Matthew 24:21. It will be a time of trouble unique to the history of the world. There have been many difficult times since the Lord spoke these words, and He Himself warned the Disciples… “In the world you shall have tribulation,” John 16:33. What is it? Then, what makes this future period different? How will it be unique? Two characteristics will distinguish the Tribulation from all other hard times that the world has seen. First, it will be worldwide NOT localized, as stated in the promise of deliverance (Revelation 3:10). The intense local persecutions of this day cannot be the beginning of the Tribulation, for that time will affect the entire world! The Tribulation will be unique because of the way men act. In one of the early judgements, men will hide themselves in dens and caves of the mountains and say… “Fall on us, and hide us from the face of Him that sits on the Throne, and from the wrath of the Lamb,” Revelations 3:16. Scientists, politicians and even church leaders warn today that the end of human history could be upon us …and even use the term, “Armageddon,” but people are not behaving as if they believe it! When the Tribulation comes, people will hide in bomb shelters and will actually seek death rather than try to preserve their lives as the future will hold no attraction. The uniqueness of the Tribulation lies in its being worldwide and in its terror, which will cause men to want to die rather than live. The Tribulation does NOT necessarily begin the day the church is taken to meet the Lord in the air... Though, the Rapture precedes the beginning of the Tribulation since the church is no longer mentioned after Revelation 3 in the Bible. The Tribulation actually will begin with a peace agreement that will be signed between Israel and the Palestinians. This treaty will set in motion the events of the 70th week (7 years) of the prophecy in Daniel 2. We noticed there that there is an interval of undetermined length between the first 69 weeks of the 7 years each and the last 70th week of the 7 years. We are living in that time in which God is forming the church, the Body of Christ, by saving Jews and Gentiles alike. Therefore since God has not finished this present program, the last week of the 70 has not yet begun. When it does, God will once again turn His attention in a special way to His people the Jews, and to His holy city Jerusalem as outlined in Daniel 9:24. There are many Christians that believe that Christ’s return is one single event… and that the Lord will return bodily to this earth and establish His Kingdom. However many evangelical believers are convinced that the Lord will return in “two stages.”… First, He will return “in the air” and take His people out of the world and, then later He will return “with His saints to set up His 1,000 year Kingdom. 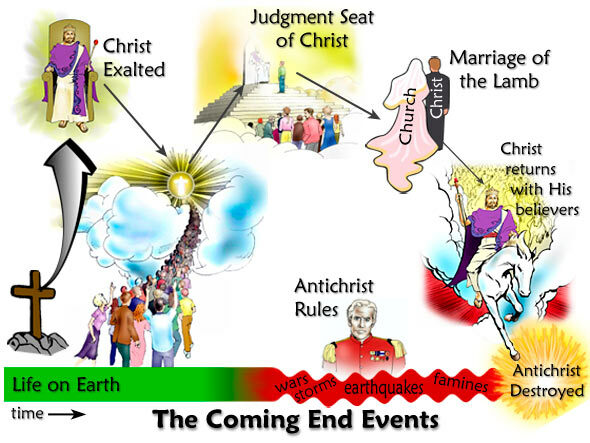 Thus, referring to the first stage of Christ’s coming as the “Rapture” of the church! How quickly will these two changes occur – the resurrection of dead saints and the translation of living believers? Paul says that it will all happen “In a moment, in the twinkling of an eye.” The whole procedure will be instantaneous. This indicates that the Rapture including both dead and living saints will take place in an inseparable instant of time…! The Words “moment” and “twinkling” refer to the instantaneous nature of this event. And, the phrase “at the last trump” reminds us of its finality. 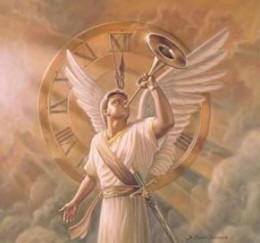 After the trumpet sounds, there will be NO time to prepare for the changes will occur instantly. There will be NO second chance for those up till then have refused the grace of God! Paul says we shall all be changed in that instant. This would seem to disprove the teaching that only certain believers will be Raptured while others will be left to go through a partial Rapture (1 Corinthians 15:51-57). It is rather intriguing to speculate on what explanation the Media or TV commentators would give on the day the rapture takes place… Undoubtedly they will give “rational” and “reasonable” appraisals that leave the Bible out. However, some people will remember hearing the Rapture preached on, or will turn to their Bibles and read God’s explanation… But, no matter how people will try to explain it, the event WILL happen just as God, in His prophetic Word have said it will. 1. Where is the Church found in each event? At the Rapture, Yeshua (Jesus) comes FOR His Church; John 14:1-3; 1 Thessalonians 4:14-17 …At the Glorious Appearing, Yeshua (Jesus) comes WITH His Church; Zechariah 14:5, Colossians 3:4, Jude 14, Revelation 19:14. 2. Where does Yeshua (Jesus) appear in each event? At the Rapture, Christians are caught up to meet Yeshua (Jesus) in the air; 1 Thessalonians 4:13-18 …At the Glorious Appearing, Yeshua’ (Jesus)' feet touch the earth, Mount of Olives in Jerusalem; Zech. 14:4; Rev. 19:11-12. 3. Who is taken and who is left behind? At the Rapture, Christians are taken first and unbelievers are left behind; 1 Thessalonians 4:13-18 …At the Glorious Appearing, the wicked are taken first, but the righteous (the tribulation saints) are left behind; Matthew 13:28-30. 4. What will Jesus do at each event? At the Rapture, Yeshua (Jesus) will gather His Bride, the Church, unto Himself in preparation of the Marriage of the Lamb; Revelation 19:6-9 … At the Glorious Appearing, Jesus will execute judgment on the earth and establish His Kingdom; Zechariah 14:3-4; Jude 14-15; Revelation 19:11-21. 5. When does the Marriage of the Lamb take place? The Marriage of the Lamb takes place in Heaven AFTER the Rapture of the Church; Revelation 19:6-9 …But, war on earth comes AFTER the Marriage of the Lamb at the Glorious Appearing; Revelation 19:11-21. 6. How long will each event be? The Rapture will happen in a moment, in the twinkling of an eye (Blink and its over! ); 1 Corinthians 15:52 …The ‘Glorious Appearing’ will be a slow coming. Everyone will see the Lord coming with great power and great glory! ; Zech. 12:10; Matt. 24:30; Rev. 1:7. 7. Who will see Yeshua (Jesus) at each event? At the Rapture, only those who are looking for Him (Christians) will see Him; 1 John 3:2; 1 Corinthians 15:52 …At the Glorious Appearing, every eye will see Him and those who have rejected Him will mourn; Revelation 1:7. 8. Will Yeshua (Jesus) shout? At the Rapture, Yeshua (Jesus) will descend from Heaven with a shout (calling for the saints at the resurrection); 1Thess. 4:16 …At the Glorious Appearing, NO shout is mentioned, although the Lord does slay the wicked with the sword of His mouth; Revelation 19:11-21. 9. Will there be a resurrection at each? At the Rapture, a resurrection will take place; 1Thess. 4:13-18; 1 Cor. 15:51-54 …At the Glorious Appearing, there is no resurrection spoken of; Zech. 12:10, 14:4-5; Revelation 1:7, 19:11-21. 10. What about the timing of each event? The Rapture can happen at any time...maybe even now which is why we are to be WATCHING for the return of our Lord! 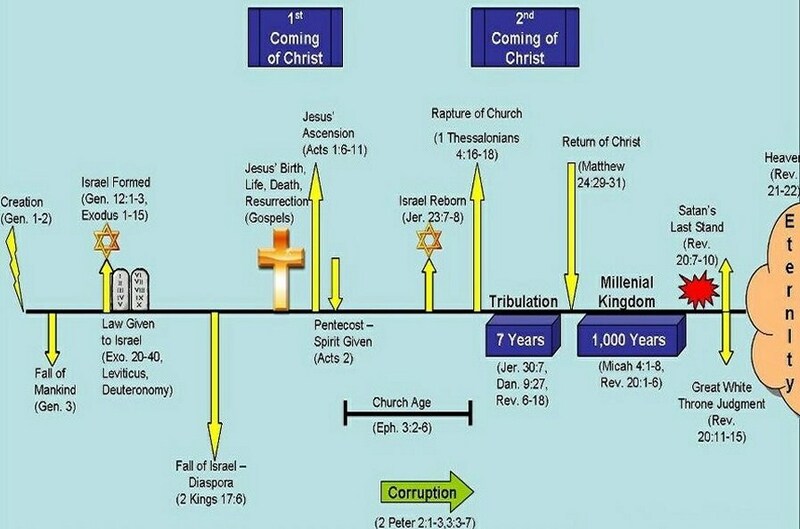 ; Revelation 3:3; 1 Thessalonians 5:4-6 …The Glorious Appearing will occur at the end of the seven-year tribulation period; Daniel 9:24-27; Matthew 24:29-30; 2 Thessalonians 2:3-8. 11. What role will the angels of Heaven have? At the Rapture, no angels are sent to gather the Church; 1 Thessalonians 4:1:16 …At the Glorious Appearing, angels will be sent to gather people together for judgment; Matthew 13:39, 41, 49; 24:31, 25:31; 2 Thess. 1:7-10. 12. What about the resurrected bodies? At the Rapture, those who died in Christ will return with Jesus to recover their resurrected bodies; 1 Thessalonians 4:14-16 ... At the Glorious Appearing, Christians will return with the Lord already in their resurrected bodies riding on white horses; Revelation 19:11-21. 13 White horse, or, no white horse for Yeshua (Jesus)? At the Rapture, Yeshua (Jesus) doesn’t return riding a white horse; Acts 1:11 …At the Glorious Appearing, Yeshua (Jesus) will return riding a white horse; Rev 19:11. 14. What is the message each event will bring for mankind? The Rapture will bring with it a message of hope and comfort; 1Thess. 4:18; Titus 2:13; 1 John 3:3 …The Glorious Appearing will bring with it a message of judgment Joel 3:12-16; Malachi 4:5; Revelation 19:11-21. It’s a Biblical fact that the Rapture is coming… Yeshua told His disciples on the Mount of Olive, “Watch therefore, and pray always that you may be counted worthy to escape all these things that will come to pass, and to stand before the Son of Man,” Luke 21:36. This verse makes it very clear if we are not watching for His coming we will not be counted “worthy to escape all the things that will come to pass” during the Great Tribulation! If you are not watching for Him He is not coming for you. The apostle Paul makes it very clear that if you not looking for Yeshua (Jesus) you are not going with Him in the Rapture (Hebrew 9:28). The Apostle Paul declared that at some future time Christ will descend from heaven with a shout, with the voice of the archangel, and with the trump of God. At that time the dead in Christ will be raised first. Following this glorious event will be the catching up of the saints, those that will be alive at that time. Their bodies will be changed, in a moment, “in the twinkling of an eye” …according to I Corinthians 15:50-58. In studying the translation of Enoch (Genesis 5:21-24) and that of Elijah (2 Kings 2:5-9) that a revelation was made to them prior to their “translation” to the effect that the time was at hand for them to be taken out of the world. Is there to be a repetition of this announcement that will be made to the saints in the end of this age immediately prior to their being snatched away from this earth… from the wrath to come? There seems to be such a promise in the following statement… “We also have a more sure Word of prophecy, to which you do well to take heed, as to a light that shines in a dark place, until the day dawns and the Daystar arises in your hearts, knowing this first that no prophecy of the Scripture came into being of its own private interpretation.” The daystar announces that the morn is right at hand. Thus the Daystar arises in the hearts of believers just before the day comes. It is therefore quite likely that the thing to which the apostle Peter is referring is that of the Lord's bearing witness in the souls of the believers to the fact that they who are thus regenerated and saved are acceptable to God, and that the time is at hand for them to be taken out of this world to be with Him. Thus we may with quite a degree of confidence believe that the Lord will prepare our hearts for that great event by giving us the witness of the Spirit in our souls that we are acceptable to God and are about to be translated… Even so, come, Lord Yeshua (Jesus)… come! Christians have been asking the question… "What time is it, God?" According to the signs, it’s almost midnight, and Yeshua (Jesus) is asking if His bride is prepared for the imminent call to be taken home to heaven... But on a more personal level, the question we all have to ask ourselves, "Am I ready to leave this world, when the rapture call is given?" Since the church will have been removed before the final seven years, this is to be seen as one of the greatest signs God has given our generation concerning the rapture of the church. Whatever you believe about the timing of the Rapture, or whether you even believe in Bible prophecy… if you were to die right now, you would be immediately removed from the earth to stand before your Creator for judgment. If ever there was a time to proclaim the imminent appearing of Christ that time is now. God has made every possible effort to awaken the church to the fact that Yeshua will soon be calling His bride home. "Now there is laid up for me the crown of righteousness, which the Lord, the Righteous Judge, shall give me at that DAY; and not to me only, but also to all those who love His appearing," 2 Timothy 4:8.